Arcade Gaming will always have a place in my heart. Because it was where I first got exposed to video games. It was Donkey Kong in 1985 in TimeZone Town Hall in Sydney, New South Wales. Although since after then, I’ve moved to Adelaide, South Australia and a decade later video arcade gaming as I see it in has died because most people have stopped showing support for arcades and other family entertainment venues due to the bad stigma given by our governments and councils. Places like Magic Mountain, Timezone, Downtown and Dazzleland are a thing of the past for many of us South Australians. I assume that for those of you who don’t reside in Adelaide there are places where you can go to either revive the good times with your friends or take your kids to a place similar to where you used to hang out at their age. Thankfully there is a movement among purists and gamers alike who are bringing arcade gaming back to South Australia with a couple of stores in the suburbs that not only sell and repair arcade and pinball games, they also host lock-ins and they get packed out every time they’re on! Okay I’m digressing badly here. 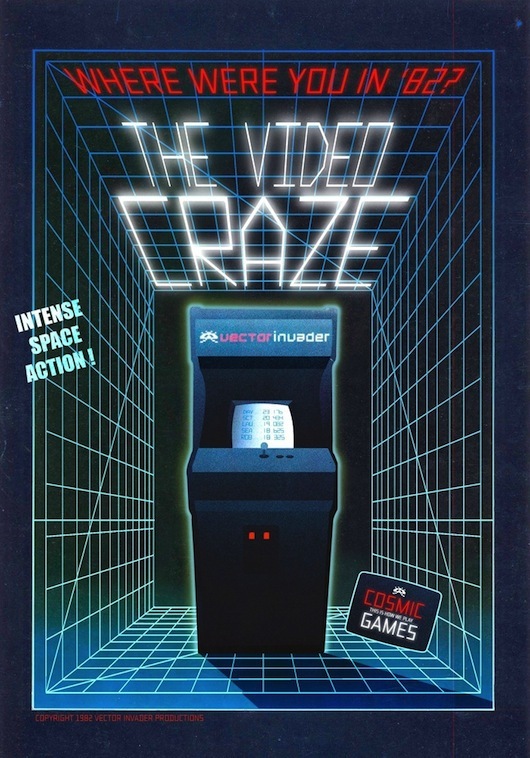 I have to give you all a background of where I’m coming from and why my opinion is what it is for this documentary: The Video Craze- Where were you in ’82. 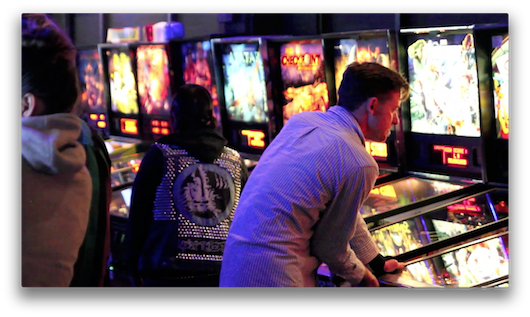 The film was made possible due to crowdfunding on Kickstarter, and due to Dave Danzara; an individual who recorded arcade gaming meet-ups all around North America. 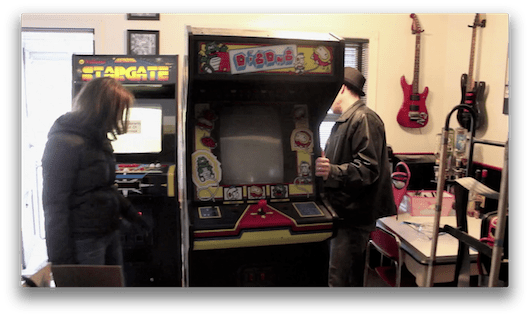 This documentary focuses on arcade gaming collectors, historians, YouTube personalities and competitors in tournaments and venue owners who have revived video arcades as bars. Once the film kicks in with a manic introduction depicting how simple gaming was in the 80s with an amazing piece for a theme tune (I’ll come back to the soundtrack later), it delves in straight away to the first collector and already you know it is going to be a feel-good watch all the way through. The first part of the documentary delves in to how collectors collect and restorers restore and showing their homes where they store and restore their cabinets. By now you are exposed to such love passion in people, you just want to keep watching! In between the skits where Pac-Man is trying to do regular human things when out and about, you then are thrown at you an interview with Keith Apicary (played by comedian Nathan Barnatt). For those of you who don’t know, Keith Apicary is a fictional personality depicting a 30+ year old retro gamer who yearns for the release of the SEGA Dreamcast 2 and loves to sing about his favourite consoles like the Virtual Boy and Neo Geo. 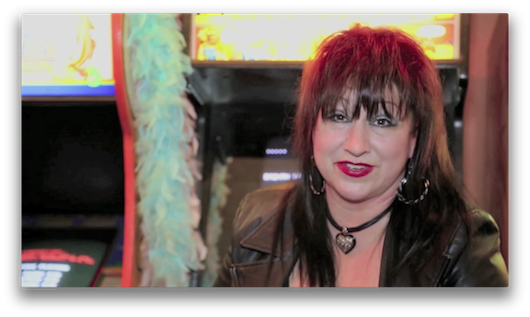 Further in to the film, we are introduced with Cat DeSpira formerly a writer for Retrocade Magazine now works for TwinGalaxies, a community started by Walter Day (who is also in the documentary) where world high scores in video games are recorded and stored online. All the people in the documentary explain why they collect, and why they love what they do. I won’t mention more about why they do it because a) of the same reasons you do it if you are passionate it, and b) it is nice to hear it from other people. 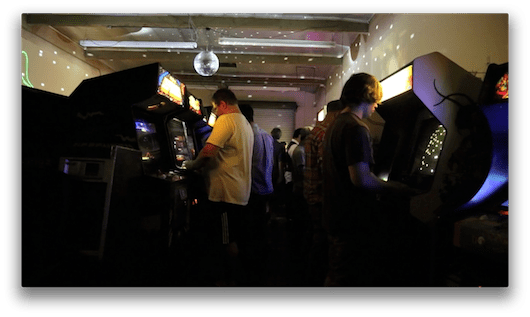 The documentary moves through more collectors as well as lock-in and organisers of meet-ups right on to Oregon, USA where various bar arcades (or Barcades) are located. When the people who run such places are on camera, you can feel and sympathise with their love they have and you tell the speech and passion in their body language for running such venues. If you get through watching the footage of the Barcades without turning green from envy you then get to see one more arcade which hosted one of the biggest Donkey Kong competitions in the nation: The Kong Off 2, where folks like Walter Day, Billy Mitchell and Steve Weibe attended, hosted and played. To put the cherry on top of the film, Walter Day’s speech at the end of the film is the ultimate hit to the face as a reminder of why you are a gamer, or historian. As well as the glow from the passionate people in this film, the soundtrack will take you back in time to the future! Loads of Synthwave and Outrun Electro projects like Lazerhawk, Miami Nights 1984, Mitch Murder, FM Attack and many more guaranteed to give you goosebumps! The Video Craze isn’t so much about teaching you what arcade gaming was in the past and present, this documentary is about individuals who experienced ‘the video craze’ and how they are helping gaming communities nowadays in the United States to preserve a vital part of history and bring back what they missed in their youth. This is a documentary that should be shown to city council members who still think with that old-fashioned attitude that video arcades are hives for dodgy things to go down. This documentary will make you feel good to be a gamer, and jealous of how big communities are in other countries all at the same time. Truly an inspirational documentary that all gamers must watch. The Video Craze pulls my heartstrings. Be sure to visit Vector Invader Productions for more information on how you can get the film for yourself, and if you have backed it on Kickstarter, check your messages about the digital download and imminent DVD and BluRay release.